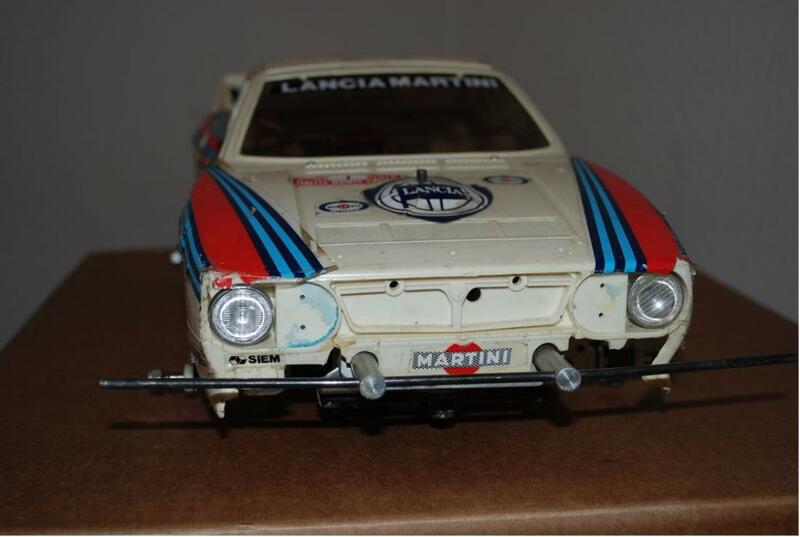 This vintage 58040 Lancia 037 rally just arrived. The body is a bit beat up and the front bumper is a bit unusual,but the chassis is virtually complete and in good shape. The motor is gone and the wheels are missing,but i am working on that. Any body out there with body parts for one of these,i want to buy!!! Just as it arrived. No wheels yet. Lower front of body missing,also the rally lights Back is good,but missing one light. 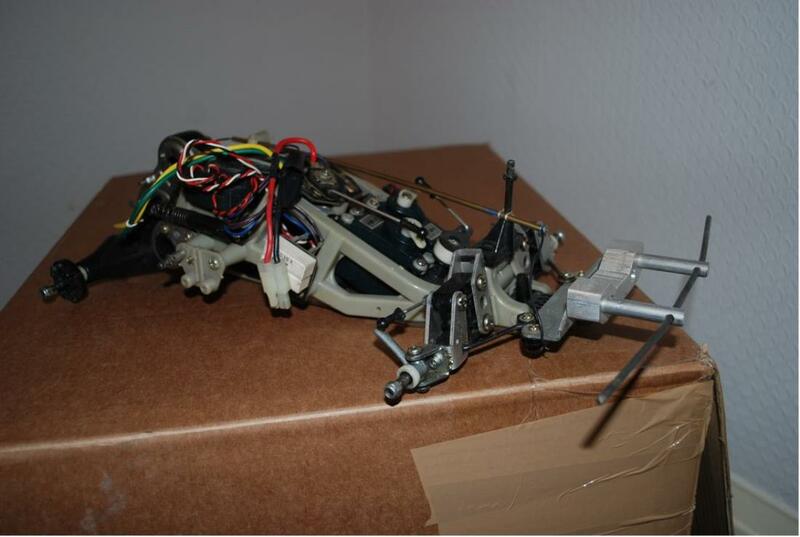 Chassis very good,just missing motor. Rare to have its underguard in place. Best of luck with the restoration! It may be tricky but no doubt rewarding in the end! Nice underguard there, is that acutally Tamiya produced or an aftermarket piece?? I think someone could make a killing by producing such a piece for this chassis to be used on all the Monster trucks and such to keep some dirt out of the mech area. Nice find you got there. I really love this rally car, cool looking and all. Think I have a spare backlight, might even have a setup of frontlights, I'll check as soon as I'm off from work. Might be hadr to find a good setup of wheels, but wish you good luck!! Try to keep it as original as possible. Thats cool! Actually looks more realistic posed without wheels. It inspires me to crack on with my re release version. Hey all,thanks for the encouragement and comments. Ive just looked through the original manual for this,and the underguard is not mentioned anywhere. 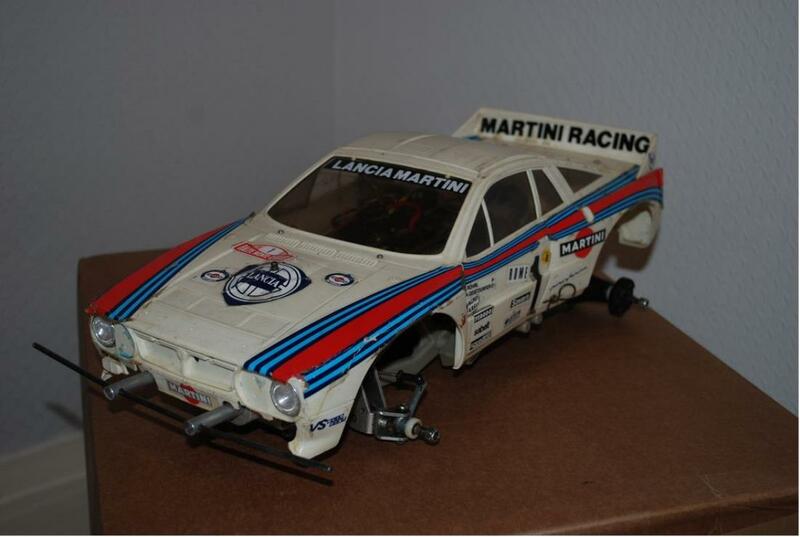 I have never seen one before so i dont know whether its an original Tamiya piece or not. 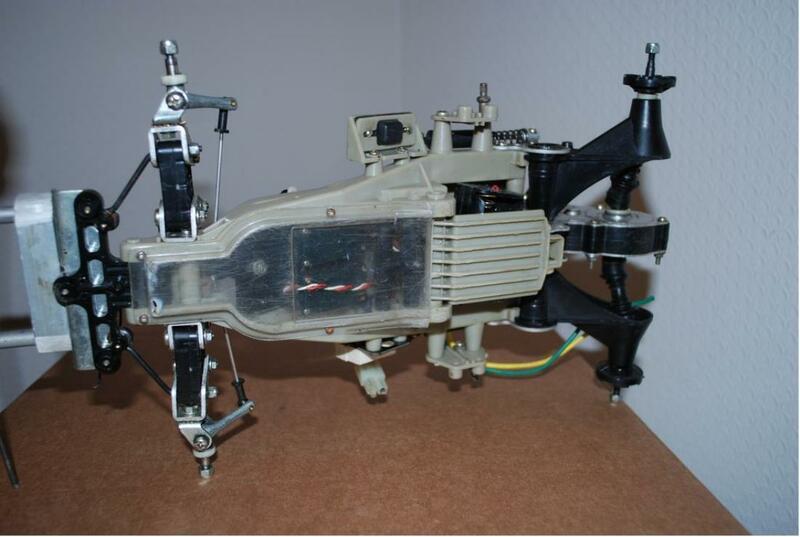 It solves the age old problem with this type of chassis though,which is the bottom of the servos are exposed to any crud and road dirt from underneath. I might see if i can get a mould from it and get some vacuum formed. 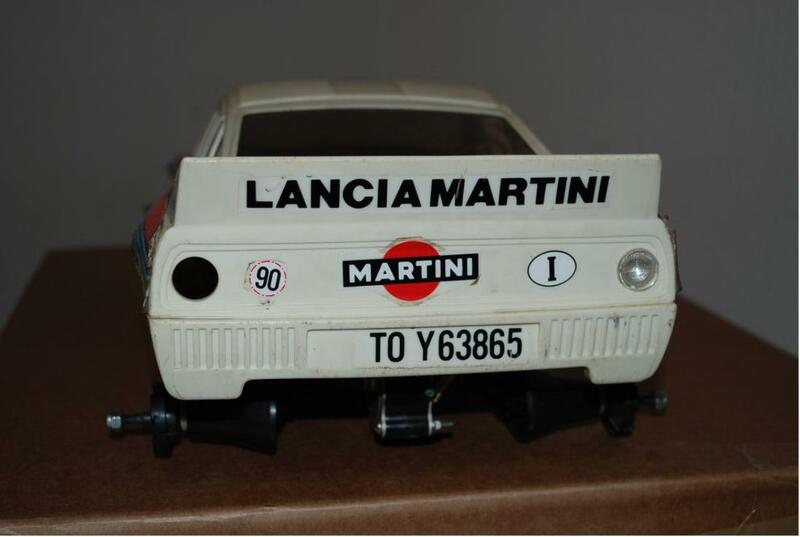 I have just purchased another Lancia rally with no body,but it has a set of really good wheels and tyres. Happy days. This is really good looking car, a good buy as well. It will keep you busy but then that's what it's all about.